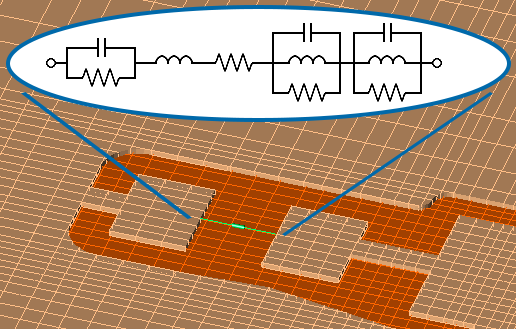 Surface mounted capacitor is updated during the FDTD simulation based on its SPICE model. Circuit co-simulation facilitates a more realistic analysis of device performance by including imported circuit components within the electromagnetic simulation. The schematic for a desired component may be imported into XF via a netlist file, with support for SPICE elements such as resistors, capacitors, inductors, coupled inductors, and subcircuits. Netlist components can also be assigned as a matching circuit embedded within a feed, simplifying matching network design. XF users without an active Remcom Professional Support contract can upgrade to the latest version of Release 7 by contacting sales. About Remcom: Remcom provides innovative electromagnetic simulation and wireless propagation software for commercial users and U.S. government sponsors. Remcom’s products are designed to work together to provide complete and accurate results when modeling propagation with real world devices in real world scenarios. Remcom is committed to its customers’ unique needs, offering flexible licensing options for installations of all sizes as well as custom engineered solutions.